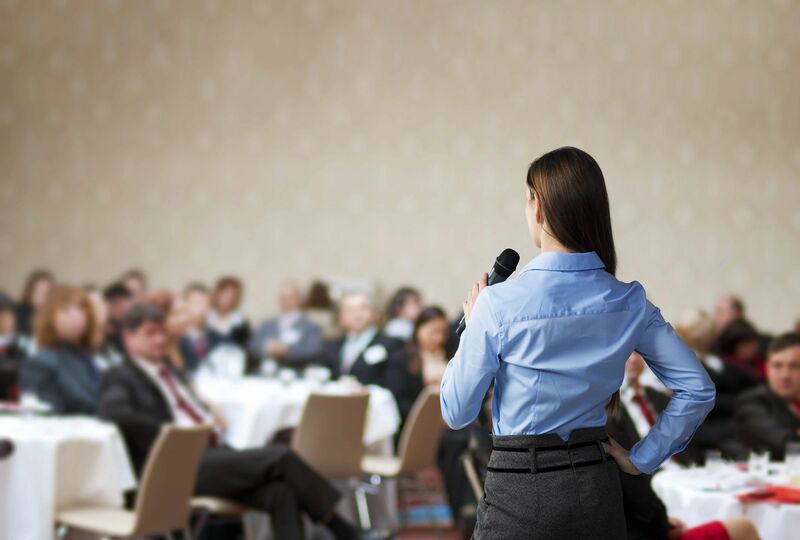 Your business presentation skills can make or break your career. They determine whether your ideas get heard, your projects get approved, and if clients come on board. 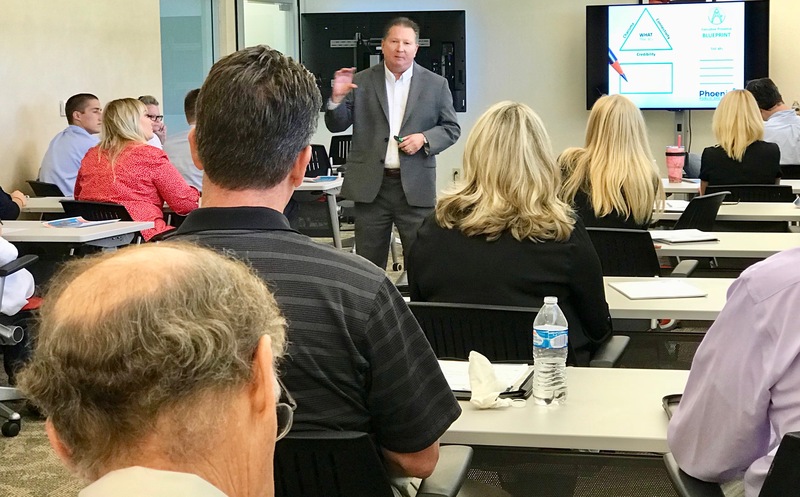 In our new two-hour workshop sponsored by the Phoenix Business Journal, Paul Barton, ABC, will show you how to make business presentations that turn heads, win hearts and get results. The workshop will be held at the Phoenix Better Business Bureau, 1010 E. Missouri Ave., from 11:30 a.m. to 2 p.m. on Tuesday, May 8. You can get a 20% discount by using offer code PAUL when registering. Our previous two workshops with the Phoenix Business Journal sold out quickly so be sure to register today. 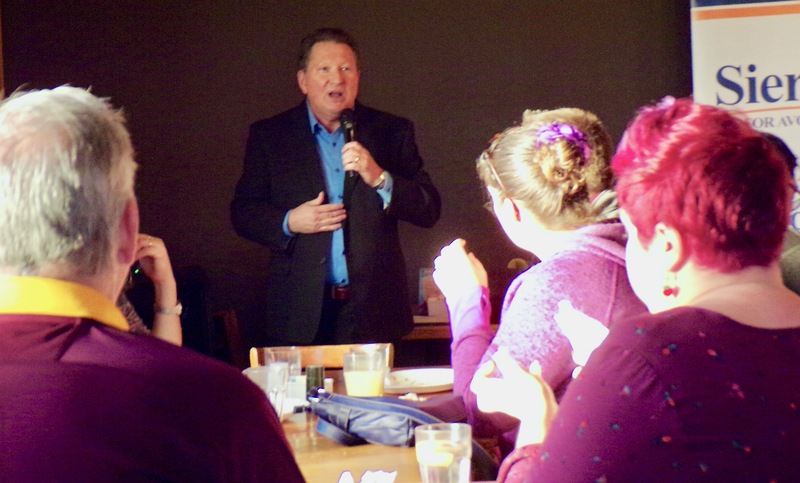 I enjoyed speaking to West Valley teachers at the “Teachers Lounge” yesterday. I shared tips with elementary and high school teachers on making a great first impression in a business setting. I showed them a simple but powerful formula to introduce themselves, how to stand up and stand out, and how to shake hands and make a positive impression. They were fast learners as evidenced by the great introductions they gave when we went around the room and each put what they learned into practice. The monthly Teachers Lounge event is organized by Avondale City Councilman Lorenzo Sierra to allow teachers to network with one another and learn new skills from guest speakers. Interested in having me speak to your group about public speaking or business presentation tips? Contact me today by clicking below. You will always have more energy and be able to engage your audience better if you stand when you speak. If there’s a clear choice, and you are able, stand. But sometimes, you have to make a judgment call. 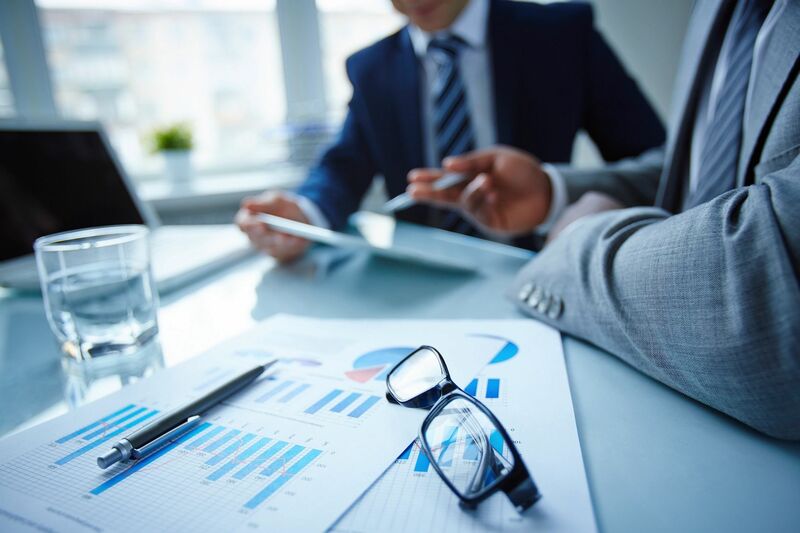 Often in business, our presentations are in conference rooms, boardrooms, or other meeting space and it’s not always obvious if you should stay seated or stand when making a business presentation. Sitting is a safe choice but you risk having less energy and less engagement. Standing also may help others to see you better and hear you more clearly. Unless you think standing would cause others to think of you as awkward or arrogant, choose to stand. If others are presenting before you and they choose to stay seated, don’t be afraid to break the mold. Standing up just may help you to stand out. And in a competitive business environment, standing out can make the difference between winning the day or going home. 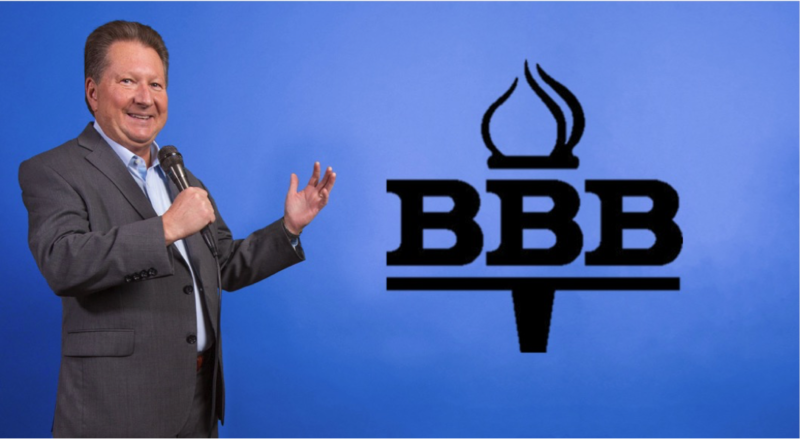 We are pleased to be part of the Phoenix Better Busines Bureau’s “Arizona Speakers Bureau.” You can find a listing for our own Paul Barton, as well as listings for many other Arizona speakers, on the local BBB website. Of course, you also can find information about Paul’s speaking services right here on our website. But we thought it was pretty cool to be listed by the BBB so we wanted to let you know. 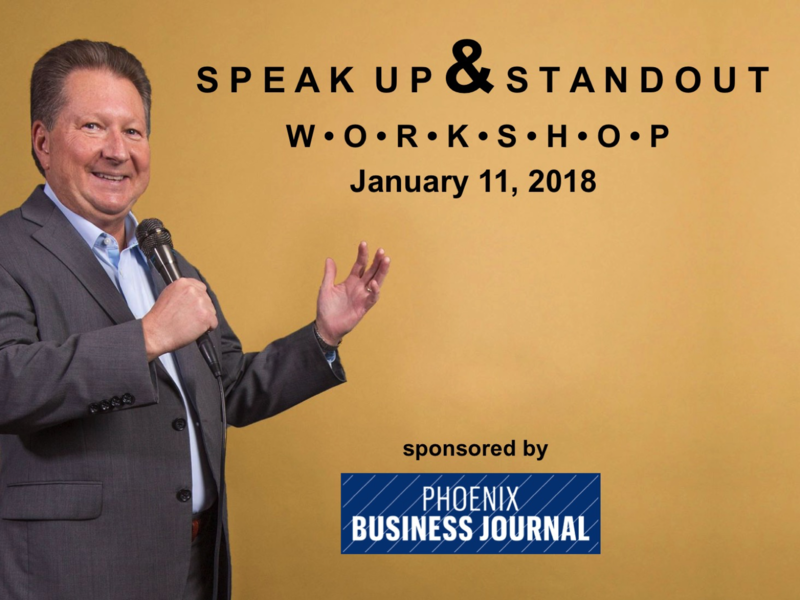 We are pleased to once again partner with the Phoenix Business Journal to present our popular “Speak Up and Stand Out” workshop. This session will be held Thursday, Jan. 11, at CCS Training Center in Scottsdale. The last time we held this workshop in conjunction with the Phoenix Business Journal, it sold out within a few hours. Don’t delay, sign-up today! Use this promo code to get a 20% discount: PHBB. Hope to see you there! Business Communication expert Paul Barton of Phoenix Public Speaking will teach you the skills to stand out. This is the perfect chance to make a New Year’s resolution and start off 2018 with the confidence to speak up and the skills to stand out! Coach Campbell is talking about performing the basics and executing them flawlessly. For example, his team has the fewest penalties in the conference and has not lost a fumble in eight hard-hitting games. Sometimes in life, when you get the seemingly insignificant things perfect, it can set you up for the big wins. This has been the approach of our Speak Up and Stand Out public speaking workshops and personal coaching program. 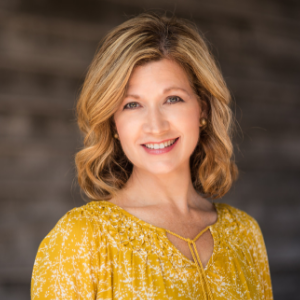 It’s a highly competitive world out there and so when it comes to winning a new client, getting a project approved, or closing the deal, the smallest things can make the biggest difference. Slow down and take the time to perform a handshake correctly. Don’t start speaking before you are in speaking position. Likewise, don’t start to sit back down until you have completed your presentation. Even the smallest hint you are ready to sit back down will dimish your conclusion. Present a business card rather than simply give one. Tell your story. Likewise, receive a business card rather than take one. Take the time to look at it. Put it away respectfully. Introduce yourself with meaningful content and do so succinctly. Stay on point. Stay interesting. Tell passionate stories and use examples that follow a logical sequence and conclude with a clear point. 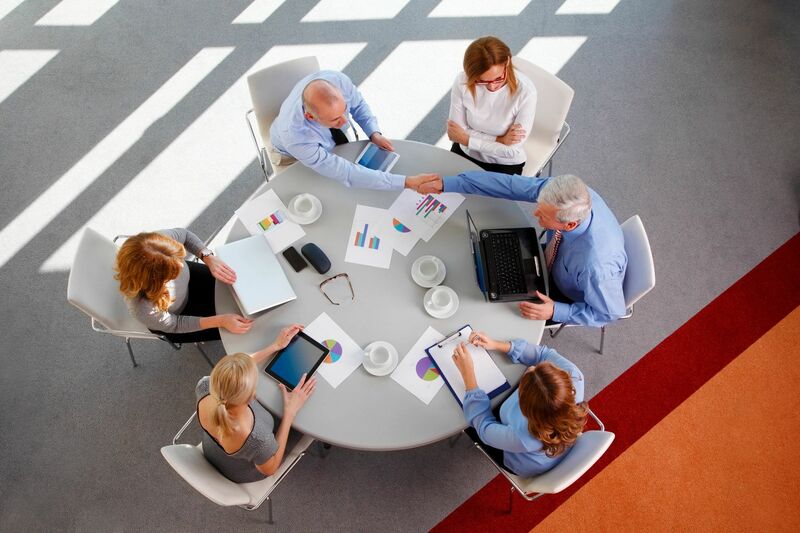 Choose a seat that allows you to influence and include rather than command and control. Listen better. Listen to understand and to know. 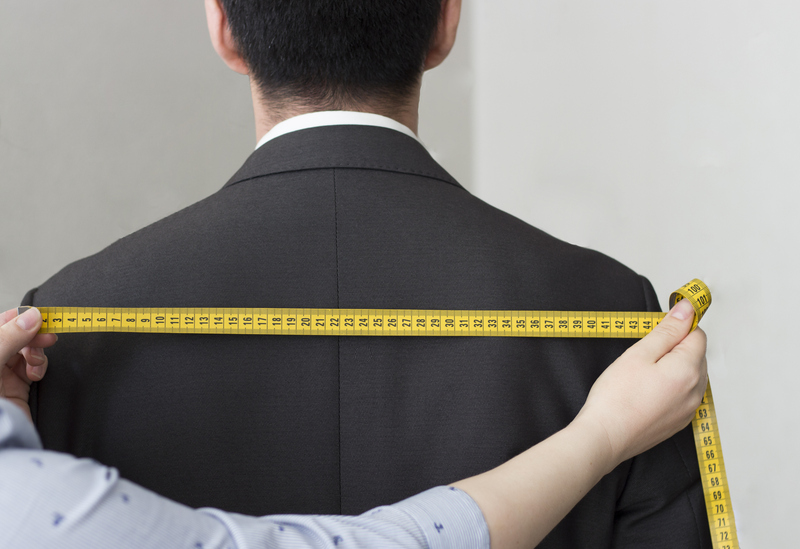 Done correctly, these simple business interactions can have a powerful impact on how people perceive you. They can make the difference in getting to the next level or going home. By executing these unremarkable things with remarkable detail, you too can turn your season around and be a winner.